Ref: MF082 Striking, yet unassuming, our Pursers Chair is the answer to many requests for a desk chair to match our collection of desks. 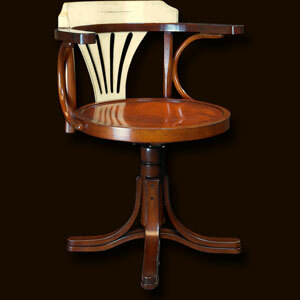 The classic design goes back to utilitarian furniture from the Belle Époque. 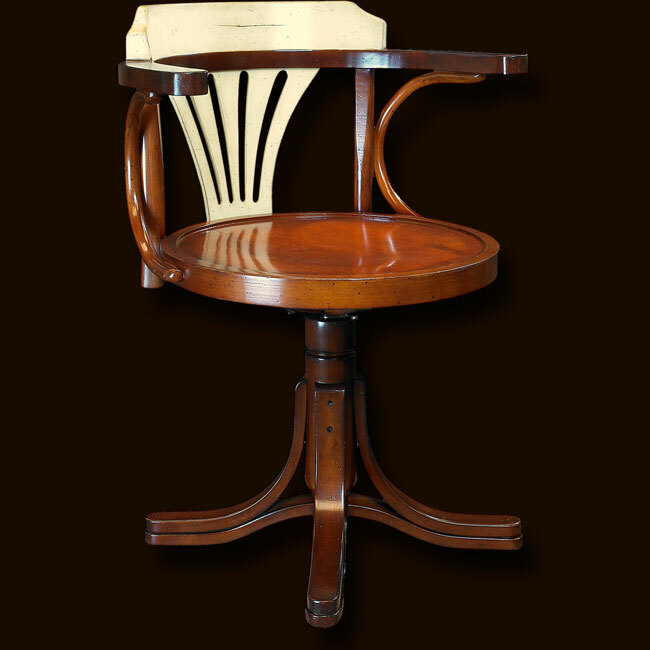 Handmade in hardwood, this chair will survive the ages when treated with respect. Wrought iron hardware. 21.75 x 24 x 31"